Japanese Worksheets - Free and Printable PDF professionally made! Japanese Worksheets – Free and Printable PDF! Here are Japanese worksheets and free courses that I have for you! Worksheets are all PDF and printable. Courses are free and you can access lessons on any device as long as you are connected to the internet. Provide your name (or nickname) and email address in the box under each material. Then, I will send you the material right away via email. Grab the ones that meet your level and needs. Here is your chance to see if learning Japanese online is a good choice for you. I have three trial mini-courses for total beginners. These courses are not an learning app or just website. They are real courses with a real Japanese teacher. You can ask questions and she will support you through the lessons. Free Course 1 covers the very basics. 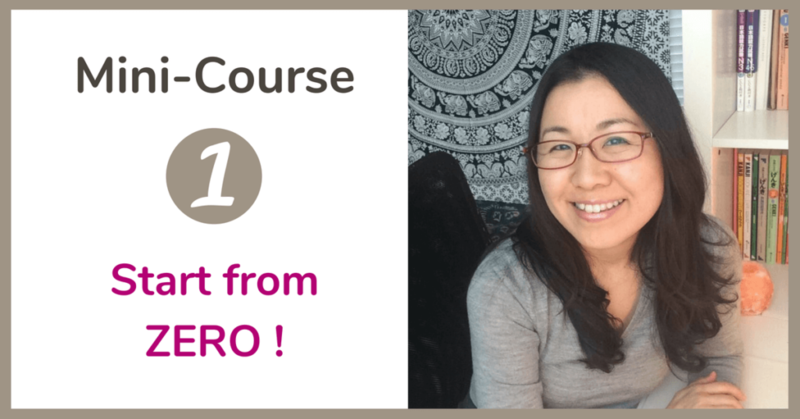 It is a great course to start learning Japanese from ZERO. By the end of the course, you will learn how to introduce yourself with your name, nationality, and occupation. It also covers the fundamental rule as to how to construct sentences in Japanese. Free Course 1 comes with a vocabulary list that you can download. (PDF, 2 pages) It is a list of nationality and occupational names in Japanese. Go to the sign-page by clicking the button above. 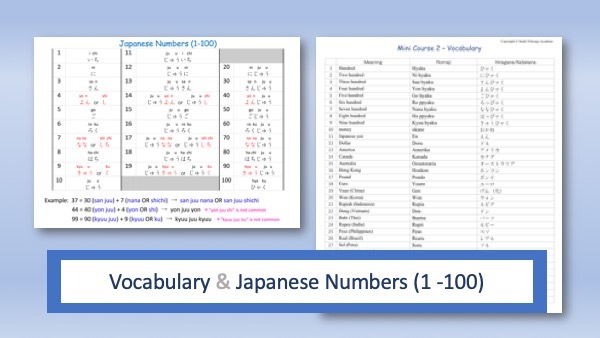 This course covers Japanese numbers and money. It will walk you through how to say numbers from 1 to 999 with correct pronunciation. After that, it teaches you how to say prices in Japanese yen, dollars, pounds, euro, and other currencies in the world. 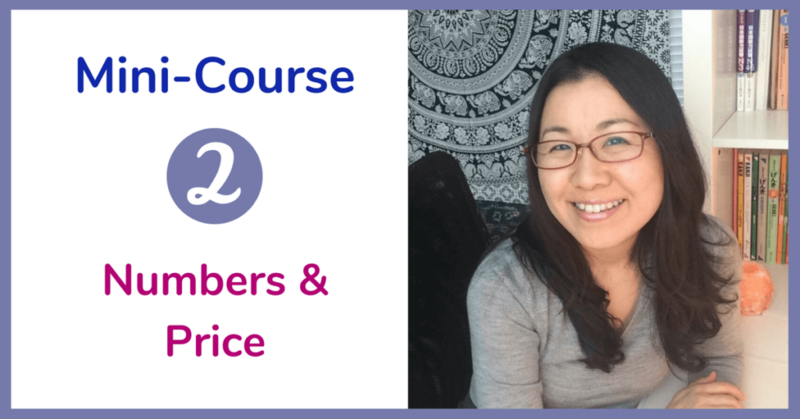 If you don’t know much about Japanese numbers yet, this course will be a great place to start! Also, it will be a good prep course for your next trip to Japan since it covers how to say prices. 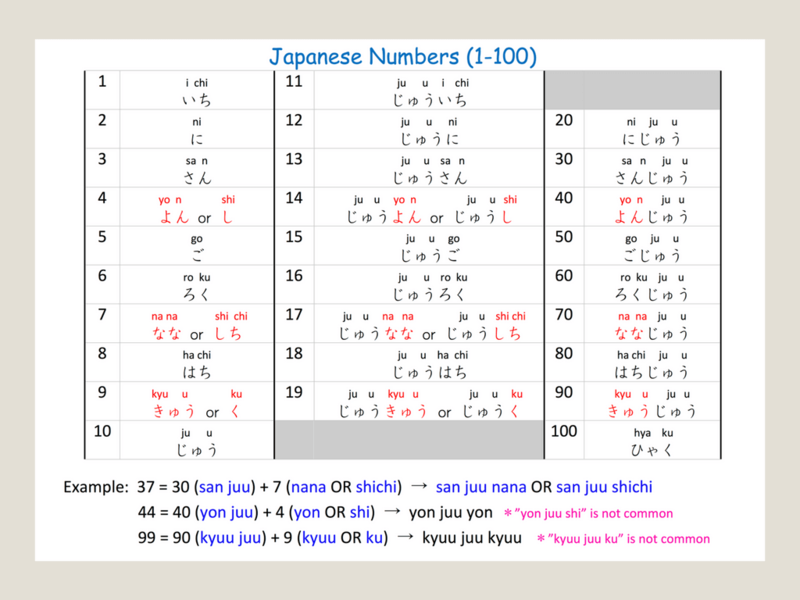 Free Course 2 comes with a vocabulary list and list of Japanese number that you can download. (PDF, 3 pages) Go to the sign-page by clicking the button above. I will show you how systematic Japanese sentences are and how to build them on your own. I will also explain the difference between Formal and Informal speech in Japanese. It’s important that you know the TWO key points I cover in this course so that you won’t sound childish or awkward in speaking Japanese! This free course also comes with tons of PDF materials. (21 pages in total!) 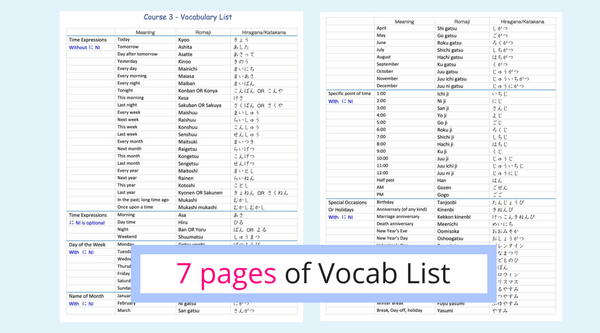 They are a vocabulary list (7 pages), Verb list (14 pages), both in Romaji and Hiragana/Katakana. 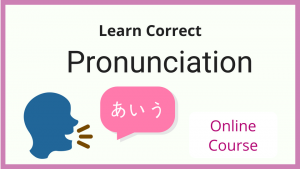 So, you don’t have to know Japanese letters to learn from this free course. 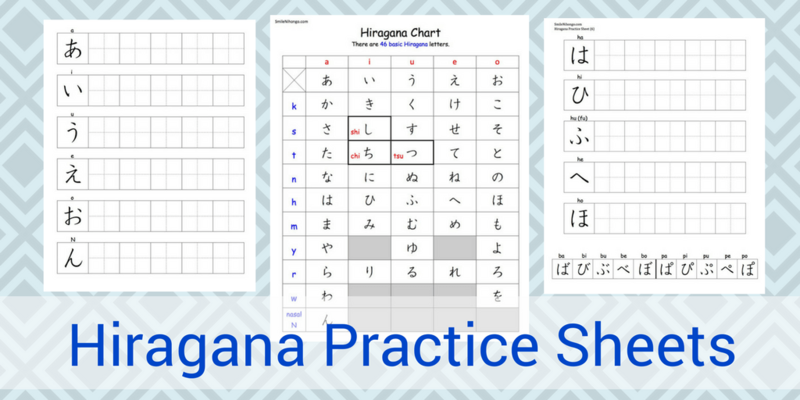 This material comes with a complete chart of 46 Hiragana letters and practice sheets for you to practice writing each Hiragana letter accurately within a box. This is how we Japanese native speakers first learn and practice writing Hiragana letters. Do you know that Hiragana letters can look quite different between the handwritten version and the printed fonts that you see on your phone or computer? This material is made with Kyookatho-tai (Textbook font) that is closest to handwritten letters so rest assured that you will learn the correct form of writing these letters. Provide the information below and the material will be sent directly to your email inbox. This material comes with a complete chart of 46 Katakana letters and practice sheets for you to practice writing each Katakana letter accurately with a box. This is how we Japanese native speakers first learn and practice writing Katakana letters. Use these Japanese worksheets to master your Katakana! 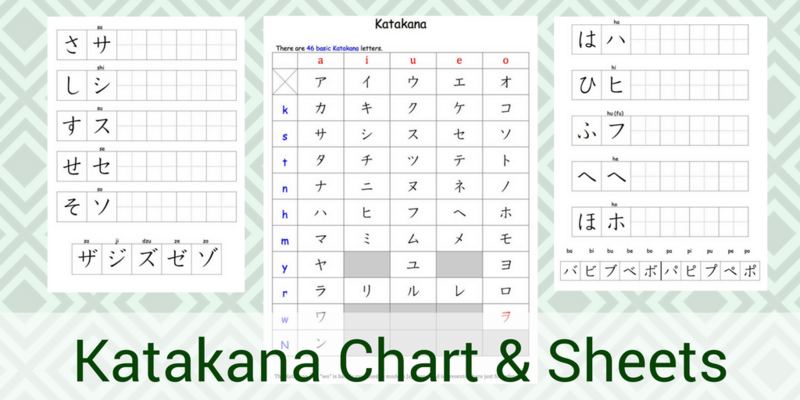 Just like Hiragana material above, I made these Katakana worksheets with Textbook font so you won’t have to worry about learning the incorrect form of handwritten Katakana letters. Provide the information below and I will send the material directly to your email right away. 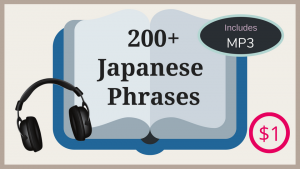 This is a list of basic Japanese phrases. I have listed the 30 most commonly-used phrases in this handout. Do you know that we have different speech styles in Japanese? Some phrases/expressions have both formal and informal versions, and others have only the formal version since that is the expression we only use when speaking formally. I indicated those differences in this list of phrases. You can also watch a video lesson on Japanese phrases on my YouTube channel. Provide the information below and I will send you the list directly to your email. You can also watch a lesson video on numbers on my YouTube channel. Provide the information below and I will send you the table of Japanese numbers 1 to 100 right away. 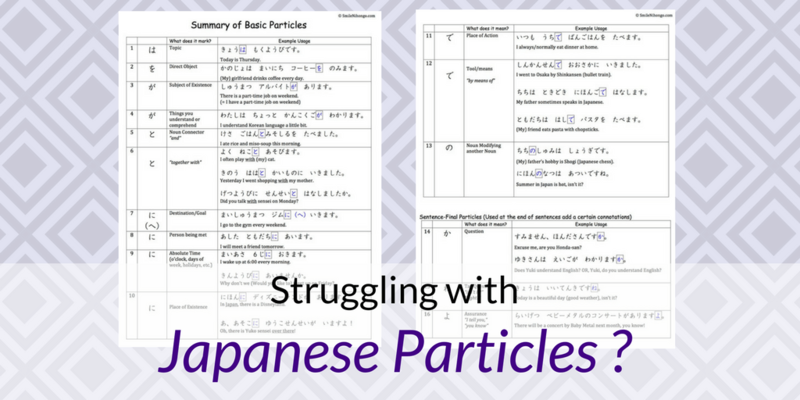 Japanese Particles are crucial in the language and yet, very confusing. There are so many of them and besides, one particle can have multiple meanings! Confusing, I know. That’s why many learners struggle with Japanese Particles. 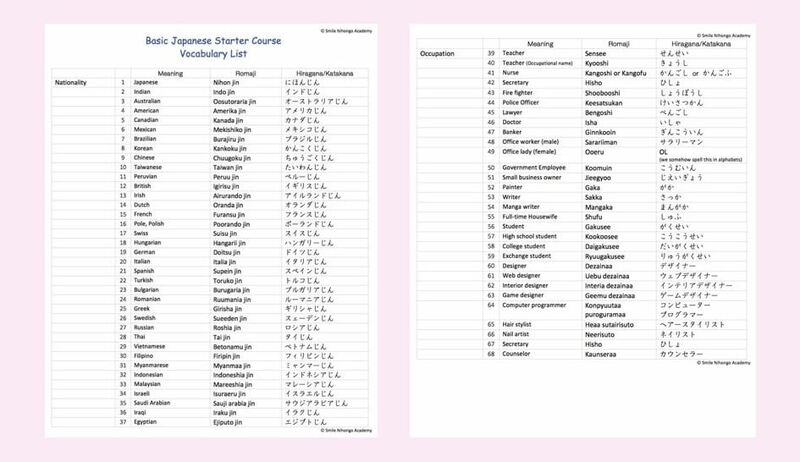 In this cheat sheet, I listed the fundamental ones that you MUST know to start out with your Japanese learning endeavor. The material is available only in Hiragana. Provide the information below and I will send you the cheat sheet directly to your email. How are you building your Japanese vocabulary? 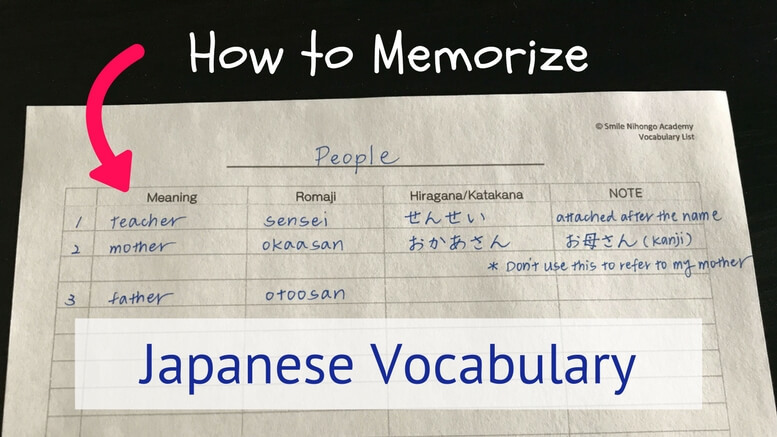 There are tons of useful apps and online memorization tools out there nowadays. I am, however, a strong believer of a pen and paper in this digital world (because it worked for me). If you want to be able to see all the Japanese vocabulary you have encountered somewhere, you need to store them in one place. That’s why I recommend having a blank vocabulary table like this where you can store all the vocabulary as you learn them. Make it habit to jot them down in this chart. Organizing them according to a category is even better. Provide me the information below and I will send you the blank vocabulary sheet straight to your mailbox. You may not find much opportunity to obtain Japanese worksheets created by a professional Japanese language teacher, so don’t miss this chance! I have revised and improved these worksheets over my 18 years of teaching career. They have been tested with my students at colleges and proved to help their learning greatly. You’ll find them helpful for your Japanese learning too!